After the meetings, Tani had taken Cosmos to the far reaches of the territory..... as to why.... well, she hasn't said yet. This would make Cosmos worried. Was she showing him something that he needed to be weary of? What was so secretive that he needed to be dragged all the way out here? Well.... Tani suddenly stopped, turning to Cosmos, to answer his suspicions, "Cosmos..... don't freak out at what I'm about to tell you...... okay? Well.... you see.... remember that one day... during the summer? Around the time when..... mating season was? I had seemed distraught for a reason.... and well...." Tani turned and went into the underbrush. On the other side was a cave. A small cave only big enough for one adult earth dragoness of Tani's size. In the middle of the cave rested a nest. And in the nest rested seven EarthWing eggs. Cosmos widened his eyes, as happy as he was to see his unborn children, he couldn't grin. He calmly looked over at Rektani and twined his tail with hers, "Darling, why haven't you told me sooner? As happy as I am, you shouldn't be so hesitant to tell me such good news. Or did you think I'd be anything and everything other then happy? " He poked his head toward the cave and tried to catch a larger glimpse of his unborn princes and princesses, subjects, and family. He wondered about Sorrell. She was angry about Dusk, would seeing her younger siblings enrage her even more? Or would she find joy in it? Cosmos tried to believe that she'd be happy, but knowing her, the odds were not in his favor. He sighed with a warm smile, looking over at Rektani and tilted his head, "You know.. I could have some hatcheries created for eggs, Rektani. So these eggs and everyone else's eggs could be more safe." He suggested. Tani narrowed her eyes, "Aye. It would be better to keep them somewhere safer..." Tani snarled, "I can't afford to take care of these hatchlings when we have hostile territories on either side of us! Not only have the IceWings been expressing hostility, but so are the NightWings. I heard that the LightWings are preparing for an attack as well. Honey, I'm afraid we might actually have a full-blown war on our paws this time," Tani shook her head again, "There's been some close calls, on the brinks of war, and some territorial disbutes.... but we've never had a full out war before..... not since that civil war broke out within the NightWings, and that was only against SkyWings and FireWings, their allies! Imagine what kind of tribe would attack their own allies...."
Tani sighed, laying down next to her eggs, licking them gently. Sometimes she wondered if mating to Cosmos had been more work than it had been worth. With Dusk missing, and increasing human activity in the few recent years, a full blown war between all of the tribes was the last thing Tani needed right now. "Plus there's the increasing risk of humans... Did you hear that a group of humans managed to successfully capture a large group of dragons? I heard a few never made it back when they escaped...... the humans have never been this active before...."
Cosmos sighed, leaning towards Rektani. "Allow me to reassure you, darling. I have been doing some work of my own. I have offered to become allies with the Firewings and they accepted. It's just another advantage. One of the strongest tribes on our sides and all... However, I am out to get another ally. It would increase our defenses. In fact, we can even host a meeting with the Firewing queen soon." He said proudly, flopping his tail over his talons as he sat down. "Your main focus as of now is our children. I will handle the war planning until our eggs hatch. The humans have many villages in our territory but haven't attacked us in ages." He smiled, shrugging. Tani sighed, nuzzling Cosmos, but narrowed her eyes when she heard about the alliance with the FireWings, "Wait you made an alliance without telling me?" She snarled, regaining her spunky attitude. Cosmos raised his eye ridge questionably, "Yes... what about it? You surely wouldn't have an issue with having a powerful tribe on our side, would you? " He asked. She sure can be picky. Eventually he had to tell her but he never got around to it. Tani huffed, "Their new queen is young and arrogant! She's probably only doing it to gain strength in the upcoming war, then she'll betray us! I don't trust the fire wings....." Tani snarled, curling her tail around her eggs protectively. "Oh, and another thing to worry about is the annual leader's gathering....." she added. Cosmos rolled his eyes, "Honestly, you worry too much. I have been doing this for awhile and hosting an annual meeting for tribe leaders is not hard." He said proudly yet calmly. The last thing he was thinking about is being betrayed. After he would inform The Firewings of project RoT he doubt they'd go against them. "We shouldn't stereotype those Firewings. They're Queen is very capable of taking on tribal matters and duties. She is tolerant, and strong. Age is not a problem. The younger she is, the longer the reign is what I say. And besides, even if she only agreed because she needs more helping hands in the upcoming war, we can't say much. We need as much aid as we can get as well. She is probably only thinking about her tribe's defenses. It is wise to gain strong allies, Rektani." He smiled. He looked down at the eggs and and tilted his heads, "When will they hatch? I would hope Sorrell would get a chance to see her younger siblings." He questioned. The healer had come to the nursery to see if any mothers needed help or any hatchlings were injured in anyway. Making her way to the Earthwing part of the hatchery she narrowed her golden eyes as she stumbled into a cave. It smelled like...her father. The horns on her head grew to an enormous size in her anger. So, instead of looking for her son they decided to have any batch of hatchlings together. Him and the wretch. The large dragonness put on a fake smile that held anger. Stomping in to intentionally move the eggs she glared at the two, mostly her stepmother. It had been her and her father first. They were the best of buddies, playing all the time. It was them against the world. It hurt that he no longer paid attention to her like he used too. Now it was just strictly buisness, not playing, no poking, no roaring contests. She missed those days when everything with her father wasn't just work. She felt so distant toward him. Its like he only cared about Tani and his job. She thought it would all go back to normal when she got her son. They would play together again but, then the she devil came in with all her green glory. Now her father was even more distant with her. Even more focused with his work. She just wanted to spend time with her father again. Clearing her head at the almost impossible thought she thundered forward. A snort echoed through the den as she walked in further, moving to stand in front of Cosmos and Tani. "Look what we have here. My father and the wretch snuggling together instead of helping me find my son!" she said in a roar, the sound echoing through the den. The sight of the hatchlings angered her and she narrowed her eyes. "Its like the fact that my son is missing is a joke! You had hatchlings just to rub it in that mine isn't here!" she roared, tears welling up in her golden eyes. Her tail swung and hit the stone wall next to her, causing pebbles to rain down for a second. Muttering and snarling she looked at Tani and her eyes narrowed into even tighter slits. "If one of your hatchlings goes missing in the night remember not to blame the Firewings" she said with a hiss, her horns growing larger and larger by the second and the ground cracking slightly. In her anger her powers flared but she took a breath, leaving only a crack in the ground from her tantrum. Her eyes stayed on her father, the question in her eyes. 'Why do they do this to me?' 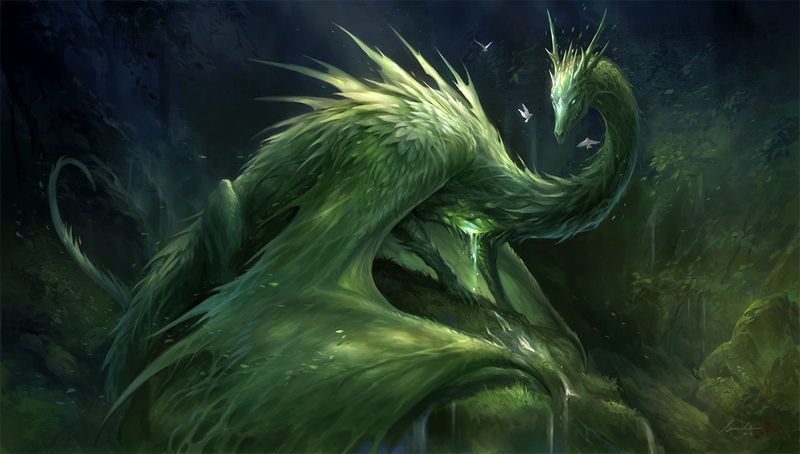 the dragonness thought in the back of her mind as a tear fell down her green scaled cheek. Cosmos calmly looked over at Sorrell, not very surprised of her arrival. "Hello to you too, my darling Sorrell." He said truthfully. He was always use to her anger. Whenever she got mad he was always keep a calm and collected expression or try to cheer her up. "Sorrell, darling, I was called out to this hatchery in order to see my children, and to see your siblings. In fact I was just about to search for you so you could see them. Well.. saves me the trouble of actually looking." He sighed, tilting his head down in disappointment. But he instantly got up on all fours and looked down at Sorrell, frowning with some guilt in his eyes, "Listen Sorrell, Dusk is not a joke. He is my priority and I am trying everything to save him. I have been trampling over my other work in order to help you! In order to save your tears from falling to your cheeks like they are now! But have I failed you already? I put your happiness before mine, I always have! I am still trying! I have all my most experienced scouts on the move for Dusk as we speak. Is that still not enough? Can I not even take a glimpse of my children? I hate to see you like this Sorrell. But please learn to be more understanding. I raised you better, by myself." He hissed, but the warm, comforting tone in his voice never faded. He his frown shifted into a glare as he leaned down closer to Sorrell's face, "Those eggs are your siblings. And you won't lay a talon on them if you mean harm. Sorrell, Dusk will be found, but don't relieve yourself of your anger and frustration on the eggs or Rektani. If you need to grieve, I'll grieve with you. But instead of complaining about the eggs, we can only search for Dusk. But of course, you should take a break, you've been searching day and night. You aren't on a balanced diet and you aren't content. You're everything but okay." He sighed, his glare turning into a worried expression. He hated on how busy he was nowadays, and how hostile his daughter was becoming. Perhaps it was all because of Dusk's abduction. He knew Sorrell despised Rektani and honestly wasn't going to get in the middle of their arguments, but he'd at least like to see his little girl smile sometimes. He'd give his world up in order to bring joy to her, and to have fun with her. But it seems his chances of that was fading. He only hoped that after the war, and hatching of the new royals, and all the annual tribe meetings, that he would be able to spend time with Sorrell again. He sighed, it was really unsettling on how much anger and frustration he could take before he'd burst. He hasn't cried in years. It was weird. He was still young, in his middle years. He still had plenty of time to fix things with Sorrell, and to find Dusk. He would love it if Rektani could be a little more accepting. And he'd try to get all his work done early so he could do the stuff he'd like, but by then, more work would pile up. He looked down at Sorrell and smiled, brushing the tear away from her cheek with his tail, trying to look calm and collected as possible, "I'm sorry for not becoming a father you can look up to. I only wish for your happiness, Sorrell. And although you may come to hate me, I hope you understand what I am doing in order to see you smile." When Sorrel stomped in, Tani looked at her, curious as to see if her daughter-in-law would be happy to see her siblings. Well, half siblings. Not to her surprise, Sorrel did the exact opposite. Tani snarled when Sorrel threatened the unborn, defenseless hatchlings, and curled her tail around them, snarling at Sorrel. "It is one thing to say I'm not helping you search for your son, and to disrespect me, but it's another thing to threaten my unborn hatchlings!" said Tani defensively. Rylatha opened her eyes to darkness. As usual. But... it was different this time. This time she didn't scent her father anywhere near. "Father?" she called softly. No reply. She stood to her paws, and followed Cosmos' scent trail. It lead her into the forest she can tell from when she felt her paws crunch against pine needles and fallen leaves. It took her about 20 minutes with her lack of sight to finally bump against a heap of scales, and she caught a whiff of Cosmos. But what she bumped into was Tani, Cosmos' mate (Ryla has no mother, so idk what she is in the new family...), but before she could grumble about her eternal blindness or let out a cheerful greeting to the Queen, she sensed that Sorrel and Tani were in an argument. Listening closely, her ears stretched up to catch every emotion and word, she smiled. "But SORRELL!" she cried, rushing up and hugging her sister. "New siblings! I'm going to be a big sister! Don't be such a grumpy-head... this is a cause for celebration!" She sprinted up to Tani and her eggs. She flicked her ear, asking permission to hug her. His words infuriated her but made her sad. She shook her head, another tear falling down her cheek. "You don't understand! You don't know what it feels like. Imagine if I was missing. I feel like I failed. Failed as a mother. Failed as a sister. Failed as a daughter. Failed at everything!" she pretty much shouter, the lilies on her wings that showed her emotions wilting a bit at her sadness. Glancing at her step mother she growled a bit before turning back to her father, her emotions running high. She just annoyed her. Her voice, her look, her personality. Everything about Rektani annoyed the dragoness. Her wings flared a bit as she listened to her father even more. "I won't touch the siblings but I can't promise anything about the......witch over there" she snapped, narrowing her eyes at the she devil in the corner. "I'm surprised you even want to help me with my son! You've always hated him. I just hope none of those hatchlings turn out like you. A evil witch!" she snarled. What Cosmos had said was true. She was sleep deprived, barely eating and if she wasn't out flying to look for Dusk, she was mapping places that he could possibly be. Her whole body ached and her wings were sore from so much flying. It had been so long since she had seen her baby boy. He was so kind and cute.. She missed him so much. How he would sometimes try and help her heal dragons. Sighing as she remembered her son she glared at her sister, narrowing her eyes a bit before shaking her head. "Dont you get it! I want to be just like you (Save for the male part). I want to be a proud queen like you were king. I feel like I've failed" she repeated and looked down again, another tear dripping from her golden eye.